SMG Europe pulls plug on 10-year deal to operate the Tyneside theatre. Newcastle’s Mill Volvo Tyne Theatre faces an uncertain future after SMG Europe pulled the plug on a 10-year deal to operate the theatre. The venue giant was recently offered a five-year extension on the lease for the grade I-listed building, which regularly hosts large touring shows from the likes of Sarah Millican, Simon Amstell and Jon Richardson. But the venue giant, which also manages the Phones4U Arena in Manchester and the First Direct Arena in Leeds, says it will not renew its contract when the 10-year deal ends this year. 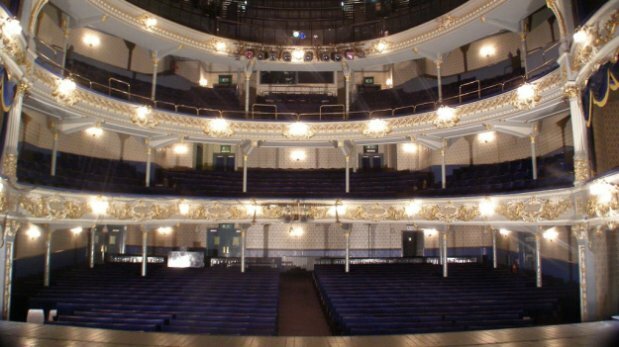 The theatre, owned by the Tyne Theatre and Opera House Preservation Trust, says it plans to bid for Heritage Lottery funding to help with restoration plans and could operate the theatre themselves from 2015. Frank Lloyd, chairman of the Preservation Trust, said: “The theatre is still fully functional but obviously we want to upgrade it, particularly in terms of the interior to restore it to its Victorian splendour. He added: “If we can’t find the right person, then the fall-back position is that we might even consider managing and operating the theatre ourselves. SMG operates 13 venues across Europe, including two other venues in the North East – the nearby Metro Radio Arena in Newcastle and the Whitley Bay Playhouse.